Comments: Ships daily from the sunshine state! [Signed copy] Otherwise unmarked with light wear to edges & corners. This books gives an inside look into Spain's politics, history, arts, traditions, cuisine and folklore. 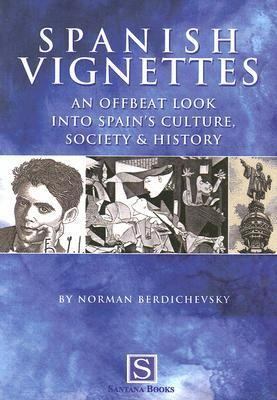 Spanish Vignettes is not an encyclopedia or textbook on Spanish culture, but designed for those who feel the need to relate to what they see and hear around them every day in Spain.Berdichevsky, Norman is the author of 'Spanish Vignettes: An Offbeat Look into Spain's Culture, Society and History - Norman Berdichevsky - Paperback' with ISBN 9788489954403 and ISBN 8489954402.